Stymied by a tricky-to-use interface, blocked by uncooperative television networks and pretty much ignored by couch potatoes, Google TV has proved a rare misfire for the search giant. Indeed, when Logitech slashed the price of its Google TV-enabled Revue setup box last summer to $99—a whopping $200 off its original sticker price—I wrote that it still wasn’t much of a bargain. On Friday, though, Google announced its plan to resuscitate its struggling home-video platform with a software update that would simplify Google TV’s thicket of menus, add a one-stop search app for TV shows and movies, and—perhaps most importantly—finally allow Android developers to build big-screen Google TV apps. The update will arrive early next week for owners of Sony-made Google TV telelvisions and Blu-ray players, Google said, and “soon thereafter” for the $99 Logitech Revue. I haven’t had a chance to play around with the updated Google TV software yet, but Google posted a video of its “New Google TV Experience” online, and from what I’ve seen, it looks like a substantial improvement over Google TV 1.0. 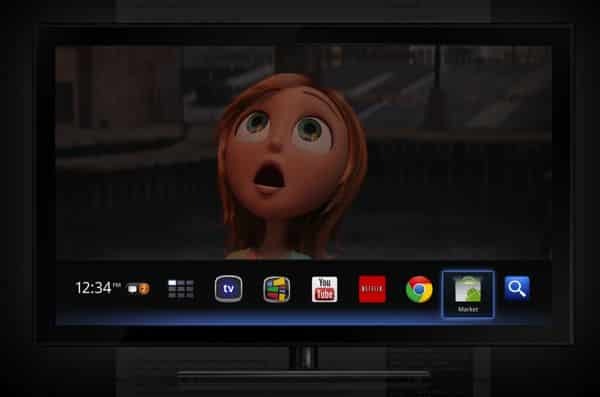 The multi-column interface on the old Google TV has been replaced by a clean row of icons at the bottom of the screen, complete with an “all apps” option that quickly pulls up all your Google TV shortcuts. In short, we’re talking a lot less clicking. Searching for a show to watch also seems poised to become much easier thanks to the unified “TV & Movies” app, which lets you search for shows and movies across live TV channels, Netflix, Amazon, YouTube, and other online services. Google is also promising a new, “fast” YouTube interface, with shortcuts to HD-quality YouTube videos and the ability to create your own YouTube “channels” using search terms and phrases. 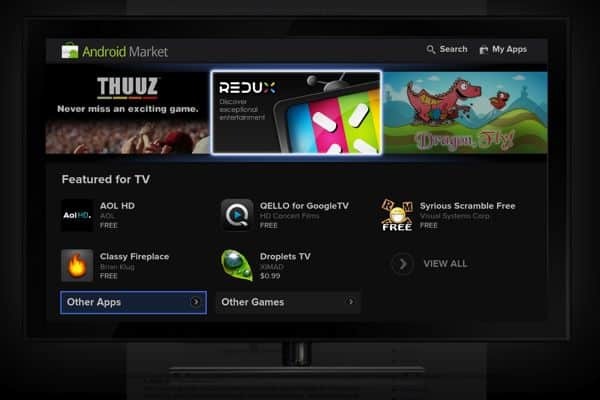 Best of all, a long-promised feature—access to the Android Market—is finally coming to Google TV, meaning that the same developers building applications for Android smartphones will get the chance to build apps for big-screen TVs. 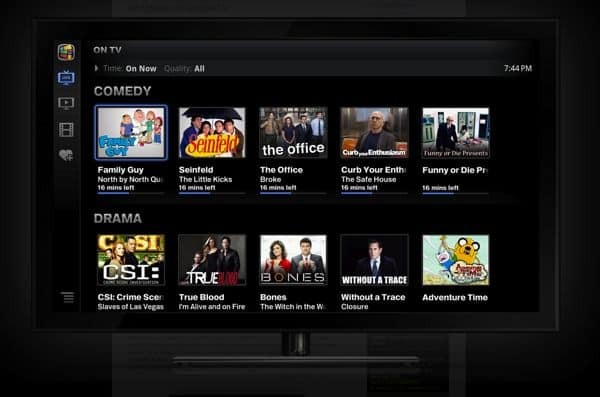 Exciting news, no doubt; that said, Google warns that the first batch of Google TV apps “won’t be large,” and that existing Android apps that require GPS, touchscreen input, or calling features won’t be eligible for the Goole TV platform. And even as it touts the latest features in the updated Google TV software, Google is seriously downplaying one of the biggest headlines from last year’s Google TV launch: the ability to stream web-based network TV shows using the on-screen browser. That’s probably because all the big TV and cable networks quickly rallied to block Google TV devices from streaming their shows on the web. So, will the new Google TV rival competitors like Apple TV and the bargain-priced Roku set-top boxes? Hmmm. While the new Google TV software sounds promising, the actual hardware remains tricky to set up (see my review of the Revue for details), and it’s uncertain whether Android developers will actually take to Google TV given the (likely) small number of users. Then again, if Android apps for Google TV begin to flourish, and some cheaper Google TV devices arrive in stores—I’m thinking south of $99, similar to the budget Roku TV boxes—then we might have something. Personally, I’m taking a “wait and see” stance on this one—and unless you’re dying to try Google TV for yourself, I recommend you do the same.